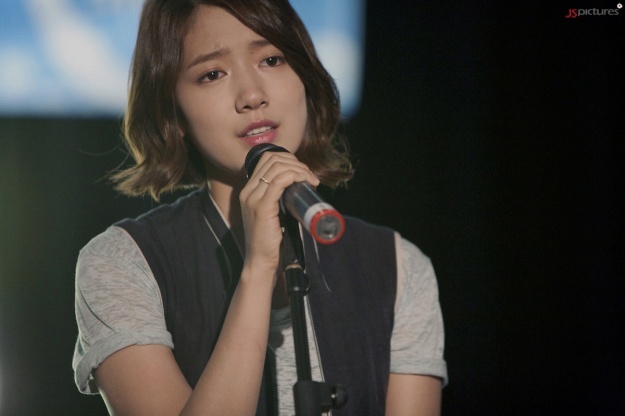 In Episode 7 of MBC drama Heartstrings, Park Shin Hye is spotted singing CNblue's song. The episode will tell the story of her character, Lee Kyu Won, taking part in an audition for the lead role of the school's 100th Year Anniversary Musical. In the previous episode's last scene, Kyu Won sees a crying Lee Shin in the arms of dance professor Yoonsu. Lee Shin is heartbroken as his father has passed away. Kyu Won is disappointed and tears up as she sees Yoonsu hugging Shin. Kyu Won vows not to care about Lee Shin's personal life anymore. However, Lee Shin's band 'The Stupid' and Kyu Won's group 'The Invincible Wind Flowers' are appointed by the school to co-write a song for the 100th Anniversary Musical. They have to combine the two contrasting elements of music - traditional and modern - to create a new and interesting song. Given the mission, the two groups have to live together in a dormitory, thus begin the adventures of the students' stay at the horrifying and seemingly-haunted dorm. An awkward atmosphere is evident between Kyu Won and Shin as Kyu Won's heart is still stinging from what she saw the other night. A representative of JS Pictures stated 'There have been a lot of complaints about the lack of love-line between Kyu Won and Lee Shin. But in the upcoming episode, everything will change. During the filming of the living-together-in-dorm scenes, Park Shin Hye, Jung Yonghwa and Kang Minhyuk were chatting about their high school memories and more." Meanwhile, the musical's director, former Broadway director Suk Hyun (starring Song Chang Ui) announces the theme of the celebratory musical - Love, Kyu Won chooses 'I Will Forget You' as her song for audition. The song's lyrics are Kyu Won's thoughts and feelings towards Lee Shin (starring Jung Yonghwa). During the audition, Kyu Won tears up. Lee Shin, who is watching the teary confession in the hall, appears to be in deep thought as the music moves his heart. 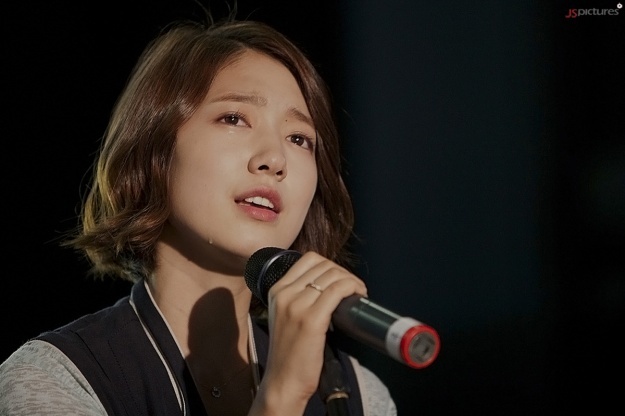 The producer said 'Park Shin Hye was very into her character. When she sings the song at the audition scene, the rest of the cast and crew are deeply moved by her performance, too.Please look forward to a music performance with traditional music and applied music combined together." 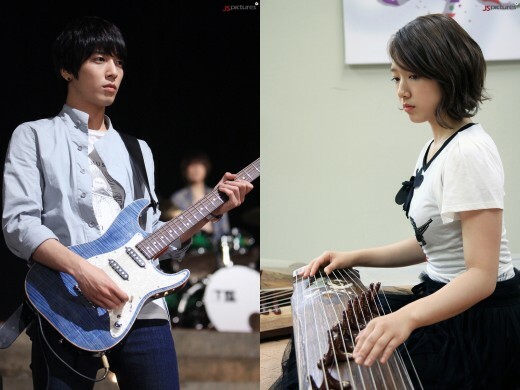 The 7th episode of Heartstrings will air tonight, July 20th, on MBC at 9:55pm. i cant wait till i see ep 7 :] ! I am so glad we will be getting more of LS- LKW scenes. But for now, I hope LKW plays hard to get or atleast makes LS jealous with that actor guy. Just because LS has started softening towards her, I hope she does'nt just run back to him. I will forget u!!!!!!!!!!!!!!! JUNG YONGHWA!!!!!!!!!! hahahaahhhaha!!!!!!!!!!!! !